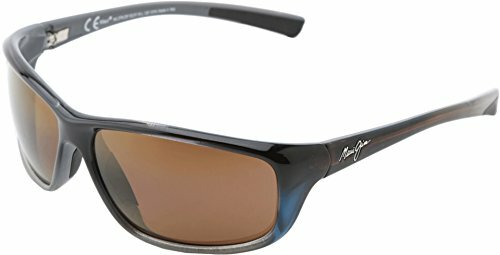 Maui Jim Sunglasses, style Spartan Reef is a classic nylon sports wrap frame. Comfortable, lightweight, and fashionable the Spartan Reef has anti-corrosive hinges and embedded nose pads. The Maui Jim logo is on the arms in silver. You can't go wrong with this clean classic design and of course Maui Jim's leading polarized lenses!